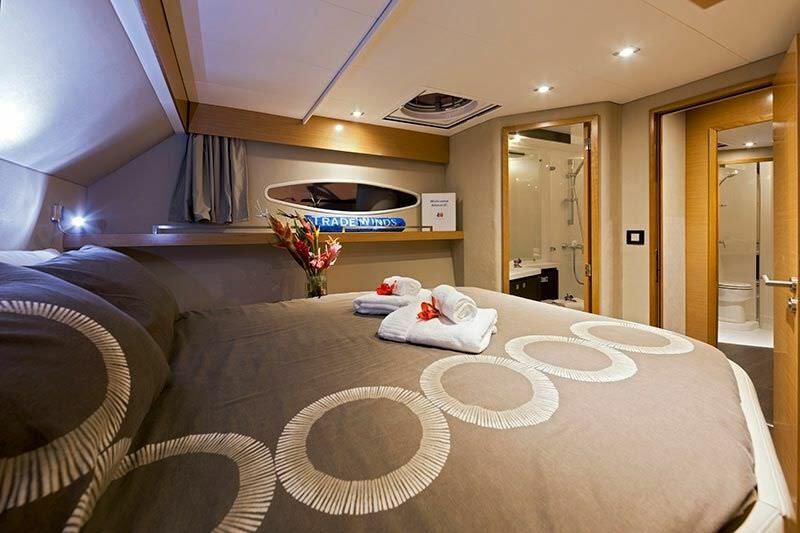 DREAMSONG offers five guest cabins, each with a queen size berth, en-suite bath with stall shower, electric fresh water flush toilet and vanity. 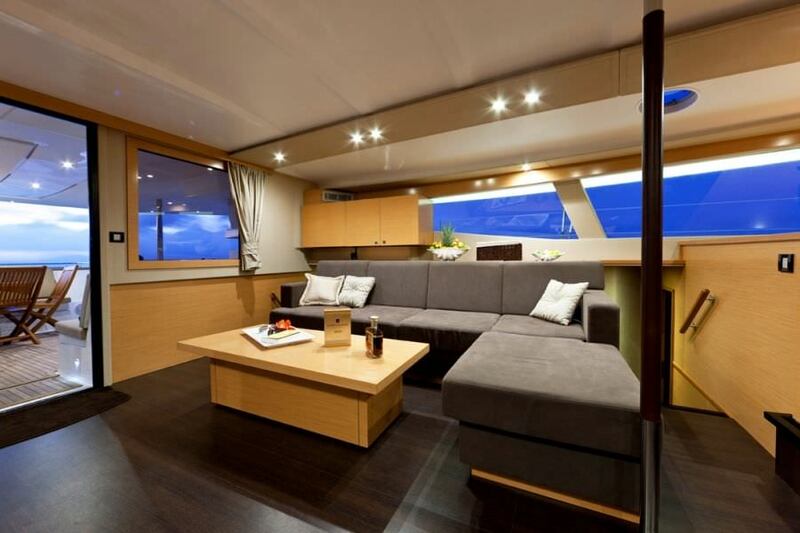 Each guest cabin has an individual control for the A/C to ensure your comfort. 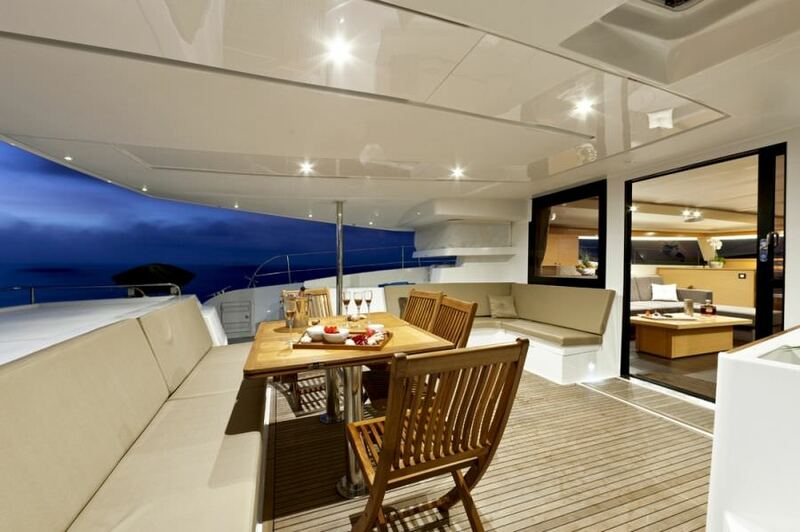 There is a very spacious salon, large aft deck for lounging and alfresco dining, and a lovely top flybridge offering a 360 degree view of paradise. 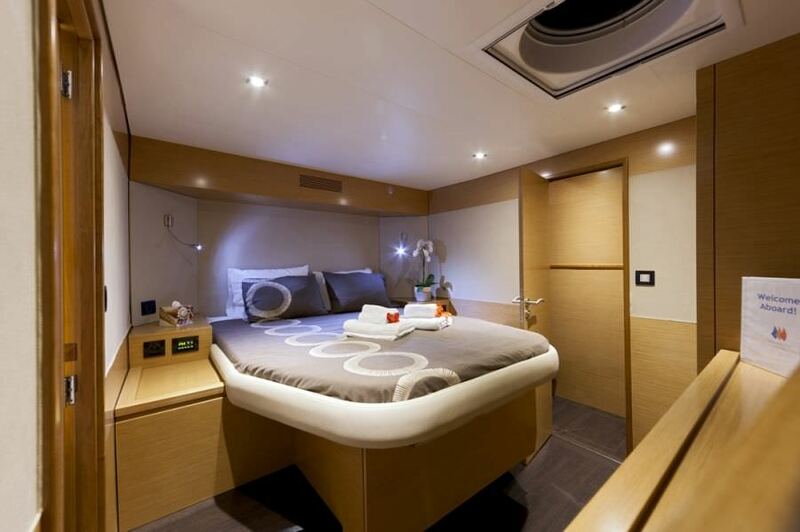 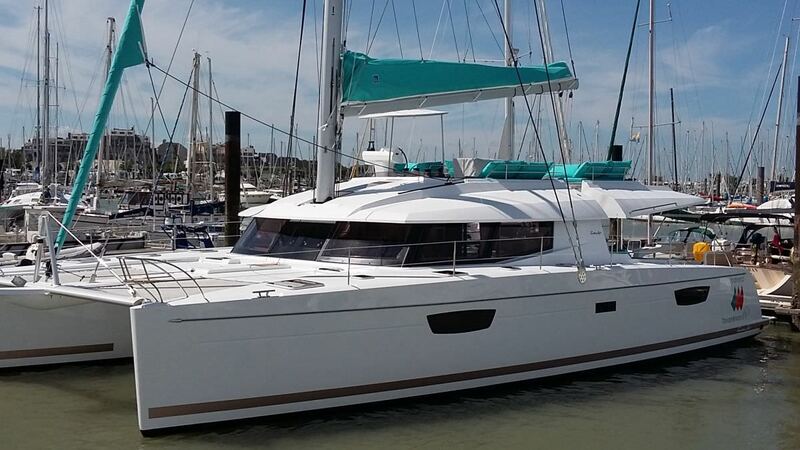 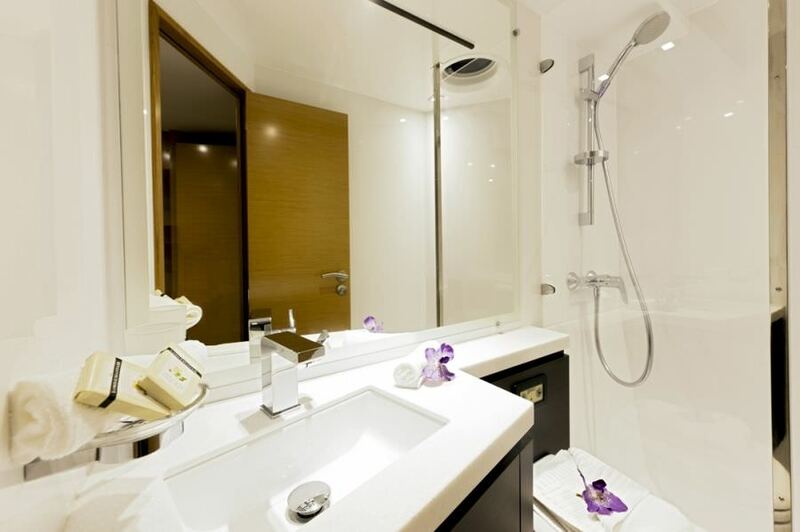 5 spacious and modern staterooms all with en-suite dry bathrooms and separate shower space. 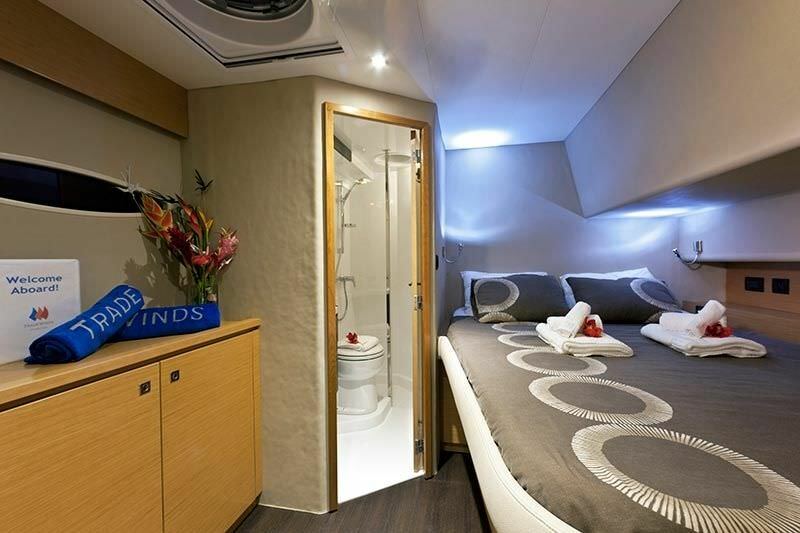 Headroom in Cabins and Saloon is just over 6'8", head/toilet is 6'7" and shower recess is 6'11", cockpit is 6'11". 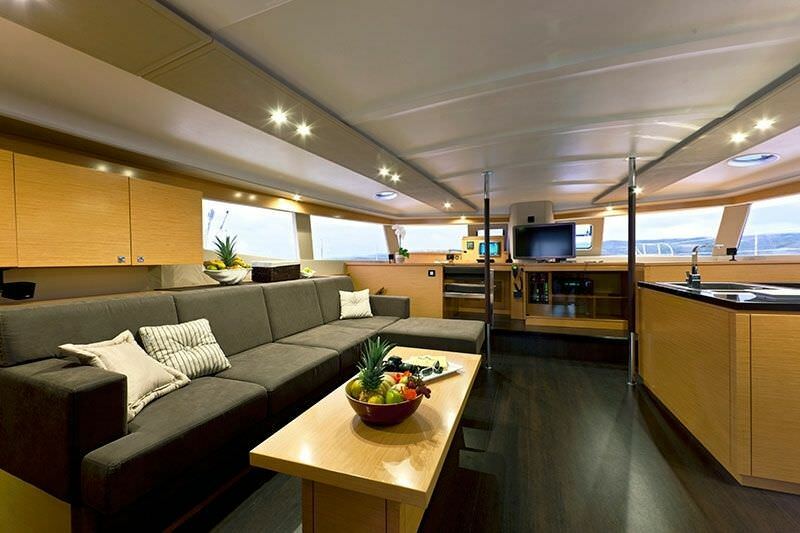 Yacht is fully air-conditioned for guest comfort and each stateroom has individual a/c control.